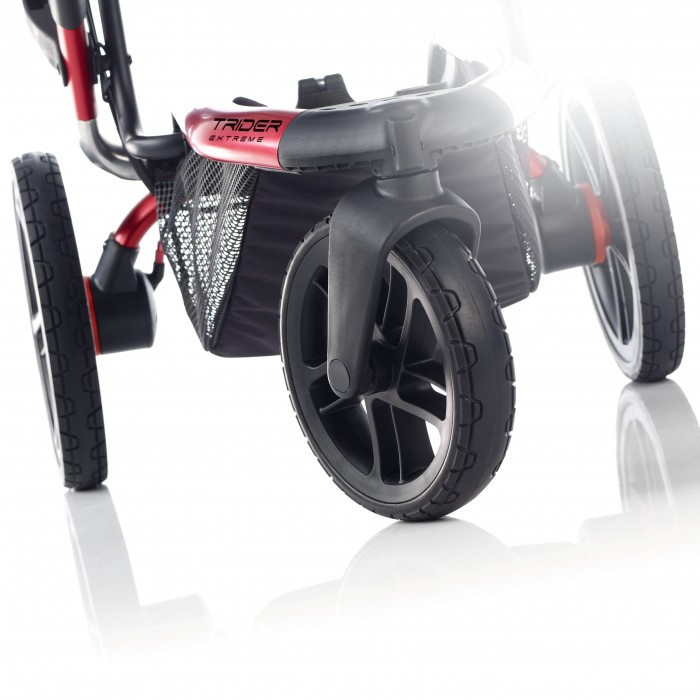 This is by far the best all terrain stroller goes through mud, streams, rocky trails, sand you name it. Bumps on the road, what bumps, these shocks are not just for looks they really work! 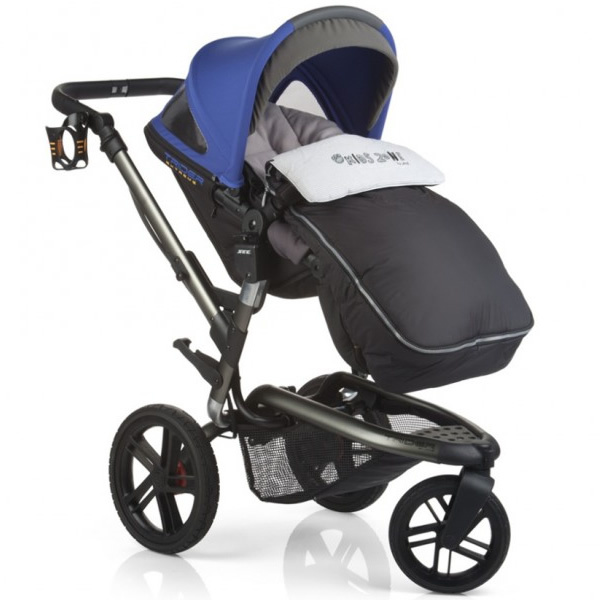 Mountain buggy, Bob, bumble ride indie are no match for this well built stroller. It's not easy finding a stroller for tall parents I'm 5"11 and my husband is 6"7 the handle bar is perfect for both of us and it's impossible to stub our toes on the bottom bar like most strollers we've used. The brake on the handle bar genius no more wreked pedis! I read negative reviews for the so called small storage basket, because the seat is set high there's a lot of free space in the basket i fit in water bottles 4 beach towels, three camping chairs and an umbrella and it handled excellent! We may have found a nice combination of all-terrain and luxury stroller. The stroller shipped very quickly. We liked that the bassinet was a bonus feature at the time. The zipper popped off the seat cover/canopy - so we are going to contact the manufacture. The frame and suspension of the stroller seems like good quality. Much better than the mountain buggy. With this stroller, you get what you pay for - a high quality, safe & smooth ride. 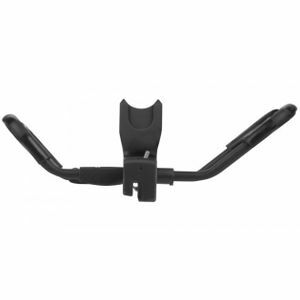 The link fix works great with our Chico KeyFit and locks in nice and firm. On the bumpy city sidewalks, the ride is smooth and we're looking forward to using it as a jogging stroller when our baby is a little bigger. We love how quick & easy it is to fold up and just took it on our first flight. The wheels easily pop off and it folds up very compact to gate check. It is much more compact than our 'everyday' Keyfit Caddy. 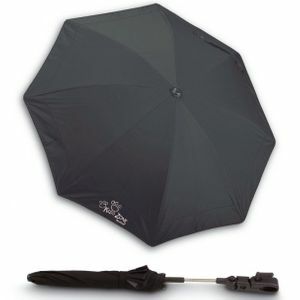 Suggestion - wish it came with a travel bag! The stroller is so easy to maneuver. Other strollers can be so hard to push. My husband likes the sleek design. Best stroller in the market! We are very pleased with our Jane Trider Extreme. 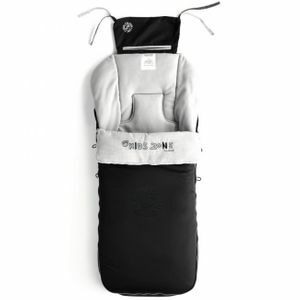 Our son has used it since birth with the Micro bassinet option for longer trips to the mall and around the block, and for quicker trips to the store, we simply insert the Link Fix and our Graco car seat slips right in! It is absolutely amazing how quickly you can switch between all the options and it can all be done using only one hand. This has been extremely handy when my husband is at work and I want to go for a jog or to get groceries. Our baby is very curious and outgrew the Micro by 2 months (now almost 3 months), so he is now using the regular seat on the number 3 recline position and it is perfect because he can see all the surroundings while being super comfy. He actually takes his last nap during our walk around the block in the Trider.We live in Miami so we take advantage of the weather almost every day, and for the sunny days we know he is protected with the SPF protected canopy and in the rainy days, we simply put the rain cover on and we are good to go. We have taken the Trider out to the beach, parks, malls, streets, you name it and the wheels go through it ALL without any problems. 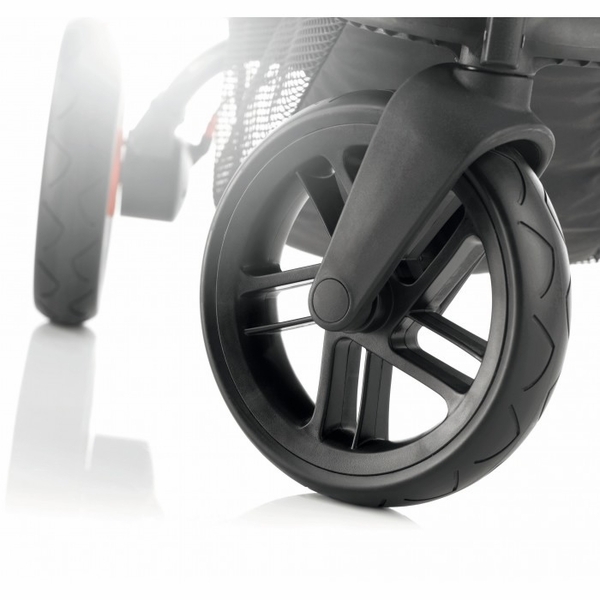 People often comment on how cool our stroller is because of its dynamic design and for having a suspension! Although it is a bit on the heavier side, it is easily outweighed by how compact it becomes when storing in the truck and by all its functionality. My husband loves the fact that he does not have to lean over because the handle is right for his height (6 feet tall) and of course that the matching diaper bag is also gender neutral, which was very important to him. We highly recommend this stroller to our friends and even strangers that we meet in restaurants, doctors offices, etc. It is definitely worth every penny! I love my stroller, all my friends wish they had my stroller it is so easy to push around, it's design is great. I love walking around, going to the park with my stroller. The basket is a great when you go shopping, I am able to fit a lot into it. Proseasy filing. This will come in handy when you are in a restaurant and no one knows what to do with a stroller you can fold it easily and put it with coat check, or if you I've in a building without an elevator easy way to carry the stroller up the steps. This stroller is the best quality and super easy to use! It folds down very easily and the hand brake on it is great! When we were looking at strollers, we didn't want a cheap looking stroller that we were going to be spending a fortune on. 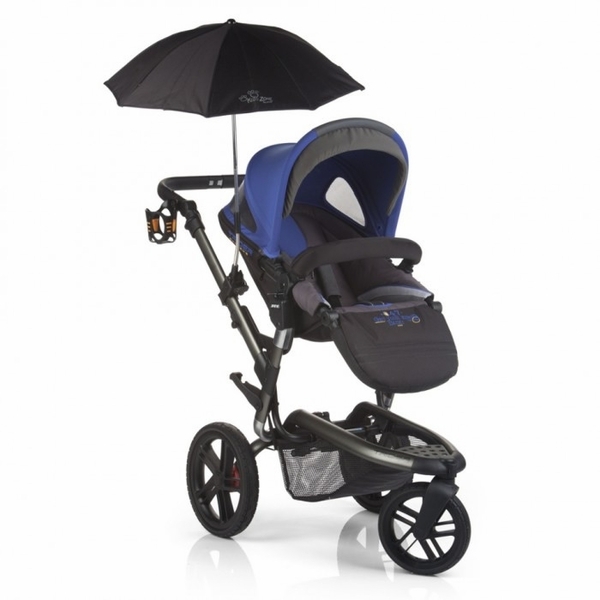 The Jane stroller looks like it is high quality, unlike others on the marker. The fabric on the canopy is great along with the red frame on this stroller. The 3 wheels are "sporty" which my husband likes, and we take this stroller in the sand on the beach every weekend. The bassinet is much nicer than many other brands, and our baby even slept in it for the first 2 months of his life at night time! We love this stroller. This is a man's stroller so says my wife! OK so I'll admit I'm a bit snobby about my stroller options and researched everything out there. I really wanted a jogging stroller (where reasonable) which means 3 wheels and one that also had some "pizzaz!" The Jane Trider meets all my expectations. This is a robust, feature filled stroller that can accommodate my growing child without any problems. 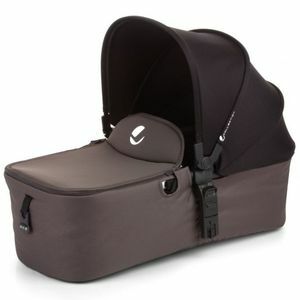 It comes with a diaper bag as well as a cupholder which is a nice surprise as well. Trider is the new stroller from Jané that lets you enjoy your trips out and stroll with complete freedom. 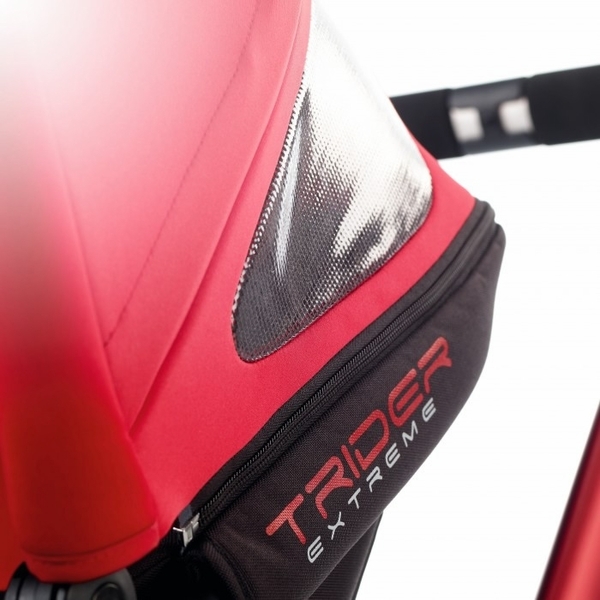 Trider offers you a chassis with minimalist style but with all the benefits of an extreme design. 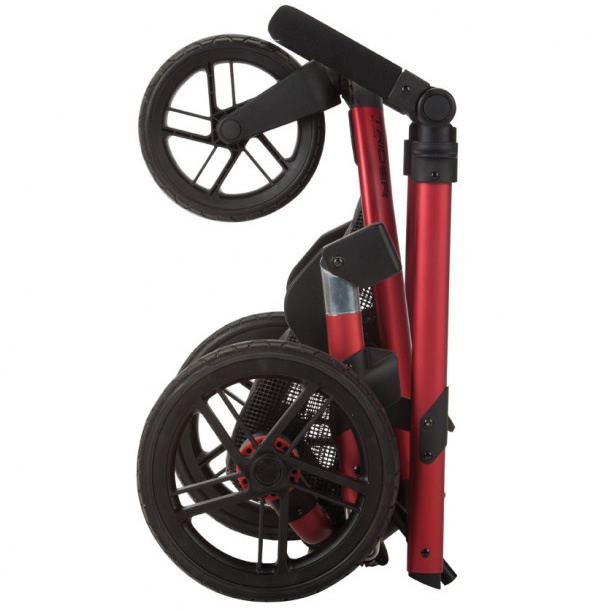 The three large diameter wheels are perfect for adapting to any terrain and surface, and the front wheel swivels to give maximum freedom of movement. 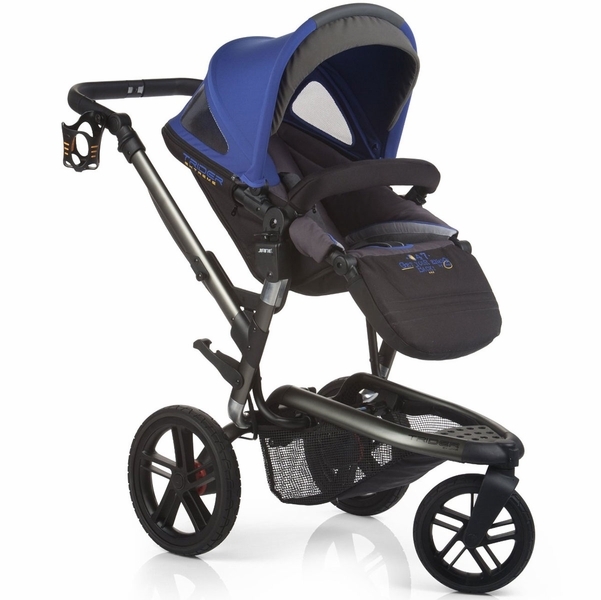 The brilliant long length suspension stroke with adjustable shock absorber, offers the baby maximum comfort. The Seat Unit is reversible, the baby can enjoy his trip out facing the street or travelling backwards, facing his parents. The height of the Seat Unit means the seat can also be used as a high chair, as it adapts perfectly to the table top. The elevated position of the seat is ideal for your child’s health as it keeps him away from pollution and car fumes.